Sleep polls indicate that about 1/3 of American adults suffer from acute and chronic insomnia, but let’s face it—most of us during our lifetimes experience occasional sleep deprivation and sleep disturbances. But many of these are temporary setbacks—uncomfortable and mildly debilitating, yes—but you WILL sleep again. For millions sleeplessness is chronic and severely impacts every aspect of their lives. 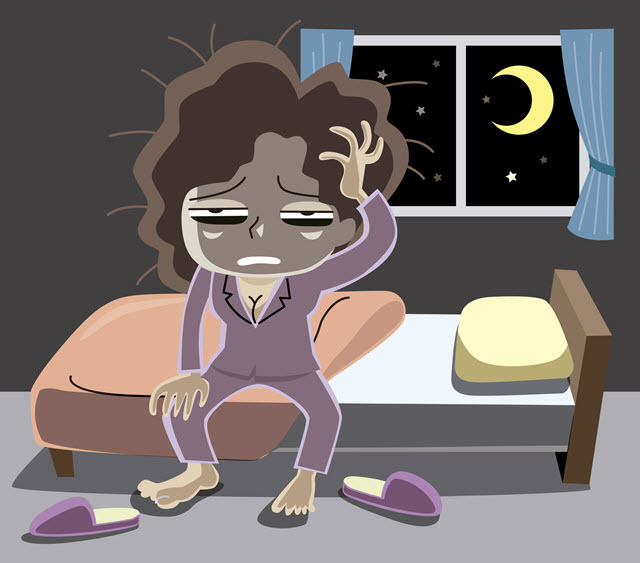 Insomnia symptoms that last longer than 30 days are usually identified as “chronic” or severe. In contrast, if you occasionally suffer insomnia from temporary situations or even behaviors like too much caffeine before bed, you are said to suffer acute brief bouts of insomnia that usually go away all on their own. These last for a few weeks at most. Chronic insomnia sufferers may experience any of the insomnia patterns: sleep onset, middle and terminal. But the occurrences are regular and long-lasting. Insomnia is a very difficult diagnosis to make simply because in shaping a diagnosis your physician is also decoding other medical issues. See, insomnia is not a medical condition or a disease and not even a sleep disorder—it’s a set of symptoms that can become an outgrowth of something else. So you might see how piecing together causes and symptoms becomes a challenging task for sleep specialists. Over the long haul if you suffer chronic insomnia the root causes become snarled. What medical or psychological problem prompted the onset of insomnia symptoms in the first place? Do those root causes still exist? Has chronic insomnia spawned auxiliary problems, ie anxiety and/or depression? Root causes of chronic insomnia can include a wide range of physical, situational/environmental, and psychological conditions and events. Even seemingly inconsequential things can severely interrupt your natural sleep rhythms to the point that your pattern becomes chronically disturbed—leading to severe insomnia. For temporary insomnia pharmacological therapy or prescription sleep aids, often called hypnotics, are commonly prescribed. Doctors may use benzodiazepines or non-benzodiazepines depending upon the patient and the primary and secondary diagnoses. Because benzos can cause confusion and drowsiness they are not well-suited to elderly insomniacs. Taken short-term, benzos and non-benzos, can effectively help your body restore its natural sleep and wake pattern and lets you revitalize. But these are not typically a solution for chronic insomniacs and not effective long-term. Cognitive behavioral therapy, or CBT, has become widely used to treat many symptoms of insomnia and is especially useful for relieving chronic or severe insomnia symptoms. The therapy is non-pharmacological and combines behavioral, muscular, and psychological therapies into one holistic bundle that together help patients rewire their sleep psychology. Alternative therapies such as melatonin, valerian, acupuncture and other holistic or compliment treatments are also being used for insomnia.